Our experience ranges across various sectors and varies from corporates to medium & small size companies to individuals. Welcome to BBM Consultancy Pvt. Ltd.
BBM Consultancy Pvt. 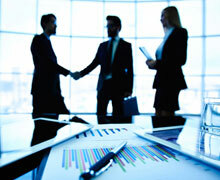 Ltd. is the professional consulting company with TEAM of enormous experienced professionals. It is specialized team of professionals with competency including Taxation Reforms and Consultancy, Auditing and Assurance, Project Finance, Investment Advisory, Company Law Matters and all the various fields required for the growth of the business. It is founded by a group of professionals from diverse backgrounds and with broad expertise, having an extensive and solid management consulting experience in the region. The company offers jobs to locals to enhance their skills, knowledge, and experience necessary to support national initiatives of large scale and scope. BBM Consultancy Pvt. Ltd. is established in 2019 having prime focus on giving the best service to the clients. The head office of BBM Consultancy Pvt. Ltd. is at Jamnagar District of Gujarat, India. Negotiations, Project Identification, Management Restructuring, Documentation, Foreign Investments in India, Liaison and Representative Offices, Customs, FEMA & Cross-Border Trade Related Issues. 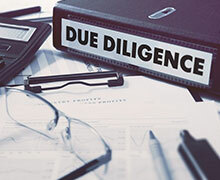 Pre-Investment Due Diligence of Target Companies/ Business Entities. All other kinds of Legal Due Diligence. Search Reports & Pre-Investment Audits. Audit for Non-Government Organisations (NGO), Societies and Trusts. Incorporation of Companies. Formation & Management of Socities & Trusts. 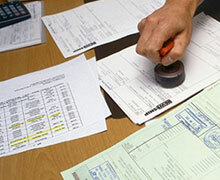 Licenses & Approvals relating to Imports & Exports.